Free social VR experience features cross platform online play with people from all around the world. Hello everyone! This is Shawn from Against Gravity, makers of Rec Room. We launched the Rec Room PlayStation VR closed beta last month and the response from the community has been incredible! In order to include as many people as possible in the beta we’ve decided to launch in open beta at PlayStation Store on Tuesday, November 21. 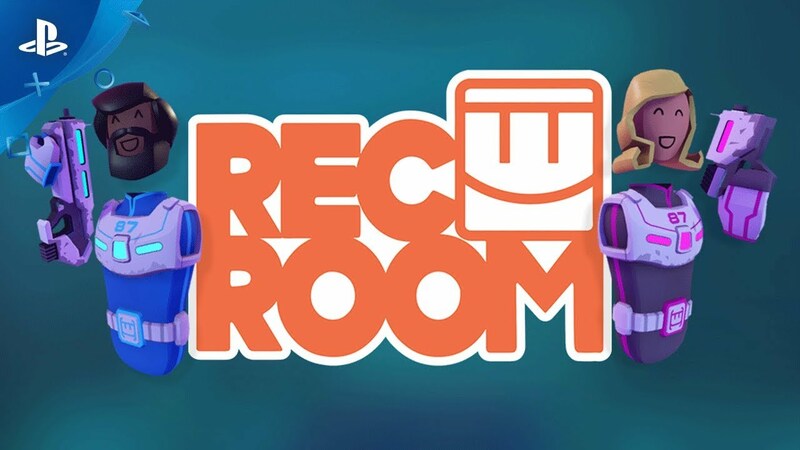 Rec Room is a virtual reality social club where you can play games with friends from all around the world. Both the open beta and full release will be free and feature cross platform play! We’ve also created an exclusive paintball burst rifle skin for PlayStation Plus members, although Rec Room does not require PlayStation Plus to play. 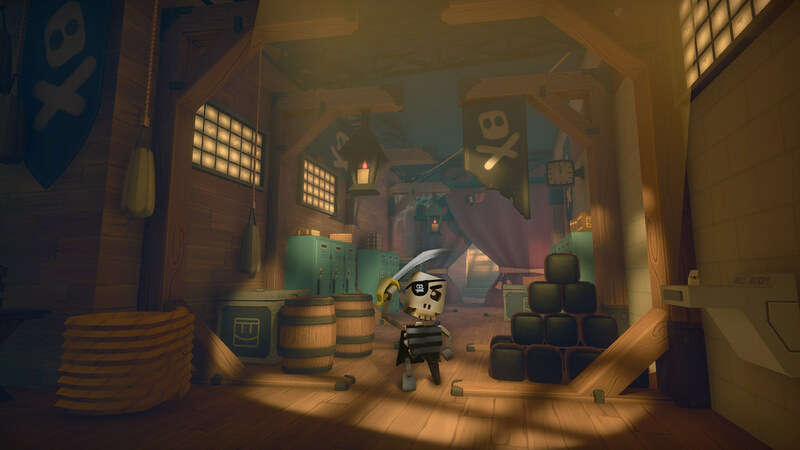 When you launch Rec Room for the first time you’ll start in your dorm room where you can create and stylize your avatar. From there you can head out into the Rec Center to interact with players from around the world or go straight into one of the many activities. 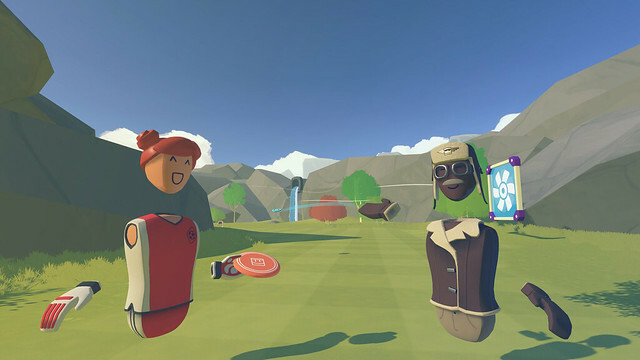 Rec Room features paintball, epic co-op quests and adventures, disc golf, charades, and more. If you’re more of the creative type check out the maker pen, sandbox machine, and custom rooms. Custom rooms allow you to host your own private instance of any Rec Room activity. You can enable sandbox mode to decorate your space, create minigames, or host events! We’re always expanding our suite of creative tools and are looking forward to seeing what the PS VR community creates. One of our core principles at Against Gravity is that we ship quickly and iterate constantly. We like to learn by trying new things and listening to our players. Along with hanging out in-game and monitoring all of our forums and social channels, we hold a developer Q&A event in the Rec Room theater every two weeks. One question we get a lot at these events is “When will there be a new quest, and what will it be!?”. 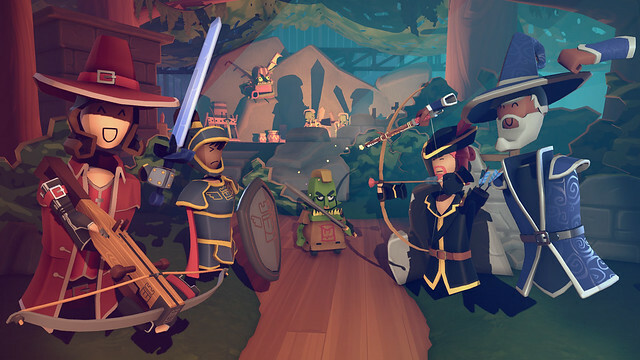 Rec Room quests are challenging co-op adventures where up to four players must defeat a series of monsters, puzzles, and other challenges as a team. Today we thought we would show a piece of concept art for the next quest we’re working on. Expect to see this pirate-themed quest go live sometime in early 2018. We can’t wait to welcome all of you into the Rec Room community and we look forward to hearing your feedback during the beta. Thanks for reading, and we’ll see you in game! Between Skyrim VR, The Impatient, Doom VFR and Bravo Team all launching in the next month – an open beta is brilliant! I will gladly check this out and wish more games would do this type of thing. How long will the open beta last? Hey four24twenty! We don’t have a fixed date for the end of the beta. Depends on how many bugs we find and how hard they are to squash :) Looking forward to having you join or bug hunting ranks! Hi Shawn, thanks for the post. First congrats to all the teams for this amazing games. Im on the first beta test and this game for the VR was the best experience so far. I got 2 question : did our data will be save in the open beta or wipe for the full released ? : did you plan to have a support for pspro player ? Thank again and keep up the amazing work !!! Hey Vass. Thanks for all your help in the beta so far! All PSVR beta testers will indeed be able to keep all of their account information. That warning was only for the very early testers since they were on one of our separate test servers. We migrated everyone over to the live server a few weeks ago where they can hang out with all other Rec Room players, cross platform. So any beta testers who have been on recently and everyone who will be joining us from this point forward will be able to keep all of their account progress, friends list, etc. Thanks for the question! Amazing, thanks for your answer :) And does RecRoom will have a pspro Patch ? It won’t need any patching as far as I know. We support both PS4 and PS4 Pro natively. This looks like a ton of fun. The open beta is smart as it gets people in the door! Games like this live or die by their patronage. Sounds like you’ve got the right attitude there by constantly adding to the experience. Thanks :) Looking forward to hearing your thoughts once we’re live on the store! Once you’ve had a chance to check it out drop by our subreddit or discord server and let us know what you think. I play RecRoom on Vive. I’ve heard the full release will be cross platform. But will my PSVR friends be able to play with me for the open beta? Yes! The current closed beta and the open beta starting Nov 21st are both already on our live servers where you can play with people from all other Rec Room platforms. I was watching the trailer and was thinking about some of the game modes there. Will it have any voicechat or microphone support, especially if it is cross-platform? Just wondering if we need to come up with gesture-based communication. It has both! Voice chat and an improving gesture communication system. got a ps4 pro..got the 4k tv..black friday is running some spiffy sales on this VR machine…..im getting closer, guys. From a business stand point, how is the team making money? I’m in the beta and its an absolute blast to play, and i was just wondering if anything is on the horizon that will allow me to give you guys some money for the fabulous work you’ve done! We’ve got some awesome people who have invested in our company to keep us going for now! In the future we might offer premium features or something like that, but no solid plans yet. The best way to support us currently is to leave us a review once we’re live on the store. Thanks for asking! Please sony, don’t reiterate the mistake of the move. Your fanbase don’t really want family or party games. The most successful Move games were the likes of RE5, Resistance 3, Killzone3, Heavy rain….and even little big planet 2. But all party games were forgetable at best. If you want the VR to take off and be attractive, push publishers to have more Batman, starwars or resident evil…Not party games. The strength of VR is to immerse the player in impossible worlds, not mini games. 3D didn’t take off because it really didn’t provide any NEW experiences. They were the same experiences but in 3D. For that single added feature, a consumer would need to purchase a new TV (and possibly other equipment- i.e. A/V receiver) to use it. It is a cost of entry that has little return. Right now, you’re still seeing the small market characteristics of VR. To make full-fledged licensed games in VR is still a risky proposition. You don’t want to spend lots of money developing a game for a platform with such a small install base. RE7 was successful but it was less of a risk since the game could be played without VR. What could kill VR won’t be the fact that there aren’t enough Batmans, Star Wars, or Resident Evils. What would possibly kill VR is a saturation of the same game types- too many shooting gallery games or too many walking simulators. What VR needs to be successful is a variety of VR games, which is what we’re already seeing. As VR grows its userbase, we will get longer, AAA experiences- and ones specifically designed for VR. The Move games you mentioned were successful without the added Move functionally. There weren’t many games actually designed FOR Move controllers- that’s why the Move never took off. There simply weren’t enough reasons to buy the controllers. Publishers can publish whatever they think will make them money. How would you suggest Sony interfere with that process? That just seems weird. It would be up to Sony to develop or publish those games themselves if that’s what you wanted their strategy to be. Additionally, the games you desire are very different games. Batman was the “truest” VR game from those you listed. Although it was pretty, I felt the game was wholly boring. Star Wars was okay- a solid VR flight game if that’s your thing. And that’s it- what’s YOUR thing might not be everyone’s thing. RE7 is a case where you take a non-VR game and add VR to it. That’s one thing that’s cool about VR- Games designed for VR from the ground up are experiences you cannot otherwise have outside of VR, but VR can also enhance traditional gaming (like in the case of RE7). Please have the ability to report a player (with recorded PS4 footage as evidence) if they’re harassing people. There’s so much potential for this and VR’s expansion, the last thing we need are bastards ruining it for people. I’ll definitely have a look. Looks fun. I’ve been playing it today. So far it feels like the controls can be frustrating and i’m terrible at everything and it’s been a blast!!! I love me some disc golf. Disc Golf is almost all I cared about with Sports Champions so I’m glad to see it return! Hi your game looks really amazing and to offer it for free to everyone is a nice touch. I’m from the UK and really want to play this game. When will it be released over here or are you looking for beta testers from Europe as well. If so I would really be interested. This game has already made me more vocal than in any other games I play. I don’t normally do voice chat. The laser tag, paintball and disc golf is the standouts for me. All of those are great. So far I’m not much of a fan of the shield soccer, dodgeball and paddle ball. There’s a lot to choose from and I haven’t done it all yet though. Its a fun game. Definitely worth buying for any PSVR owner. I really enjoyed myself play Laser tag and Treasure hunt game. I had an issue at the start logging in with my personal email address and password. Not sure what the issue is in Rec Room. So I did create an account and they randomly gave me a weird username as a guest. How can I sync my email address that is linked to my PS account within Rec Room. Then, my personal screen name DATCorp will appear. Any assistance will be appreciated. Guys I tried it this week and I just wanna say It’s amazing what a fantastic achievement. My favourite VR experience so far hands down well down. I only played the space shooter but omg it was great. In an age of microtransactions and loot boxes how nice is it to have company so in touch and dedicated to the fans. Thanks guys I love it and I will continue to support you and this game going forward anyway I can. VR has its killer app. Having a blast with rec room! I think it would great if somehow players could be grouped together based on age. My ten year old daughter really digs this experience but some of the language she gets exposed to is disappointing. Hello Shawn, is there a way I can get someone to help me register my account into Rec Room. When I enter my email address and password, it doesn’t take. I thought our personal accounts PSN accounts would sync with Rec Room. Any assistance would be appreciated.